On the 9 to 10 December we held the first summit of the D5, an international network of like-minded governments working on the digital transformation of public services. We had a packed house of 60 delegates during the day and 120 in the evening, including delegations from the 5 founding countries, observers from the USA and Mexico, subject matter experts and representatives from industry. 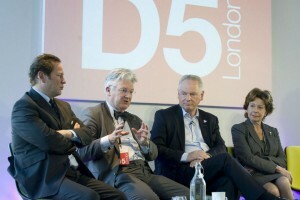 During the opening day we heard from all the D5 founders about their expertise on digital Government. The parallels were striking - from New Zealand’s RealMe and our GOV.UK Verify, to our focus on user needs and South Korea talking about Government 3.0 improving the happiness of their citizens. As discussions carried on across the two days it created a real buzz, with delegations finding new areas in common and ideas for working together. 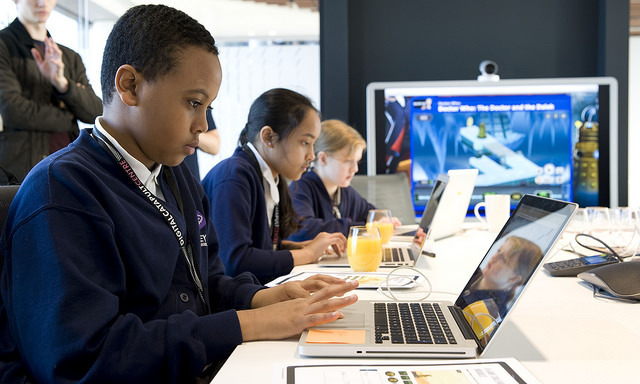 We arranged a visit from 6 11-year olds from Netley Primary School in Camden, who took part in a BBC-led coding session involving a Dr. Who game. Their enthusiasm was infectious, and it was really great to see one of the core parts of the D5 Charter (teaching children to code) in action. Our visitors followed up the coding by demanding autographs from our Minister before they left! The culmination of the event was the signing of the D5 Charter by each Minister. But this didn’t happen overnight - we consulted and discussed the principles with other members long before the event (during which an initial five principles became nine). For the final push to refine and agree the Charter, I spent a lot of late nights and early mornings negotiating additions and amendments - a complex job when each change must be agreed by all parties. Getting agreement across four different time zones is tough - Estonia and Israel are 2 hours ahead, South Korea is 9 hours ahead and New Zealand 13 hours. For New Zealand in particular, waiting until the morning UK time to send over some information would mean losing a whole day of working time. After all the late nights and early mornings, it was an incredibly proud moment to see the Charter signed by each Minister - and not on paper, but on a tablet: a digital signature for a digital event. It felt apt that on the birthday of Ada Lovelace (Dec 10) we had a great line-up of speakers which included Neelie Kroes (Former European Commissioner for Digital Agenda), Kerensa Jennings (Head of Strategic Delivery at the BBC), and Janet Hughes and Michelle Thorp from the Cabinet Office. I was also delighted to meet at the evening Reception Dr Sue Black and Hannah Dee, both active proponents of women in tech. I couldn’t miss out the evening reception, at which HRH The Duke of York hosted 120 guests at Buckingham Palace. The Duke’s team were fantastic to work with, and the event created a great opportunity for businesses from the UK to meet D5 delegates and guests. I particularly enjoyed responding to questions about dress code from the delegations - to which I answered “definitely no trainers”! We had a small team behind the scenes for D5, working closely to run an event which spanned 4 venues, 20 speakers and over 150 guests. It was a real team effort, involving colleagues from Cabinet Office, FCO and the Digital Economy Unit in BIS. Pulling together helped make the event the success that it was.